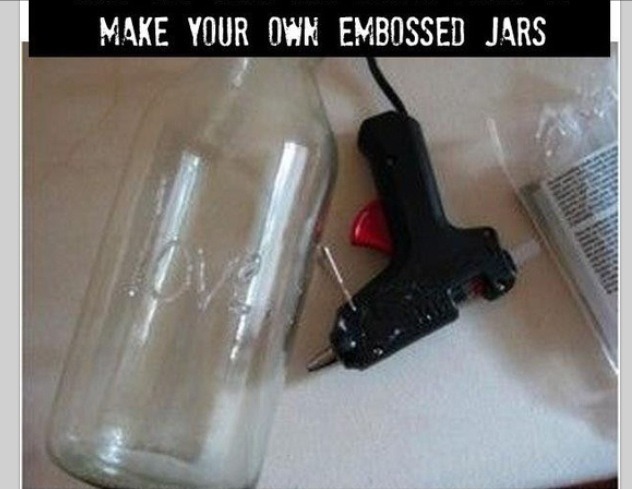 Use the hot glue gun for your customized lettering or designs. Spray paint after it dries! 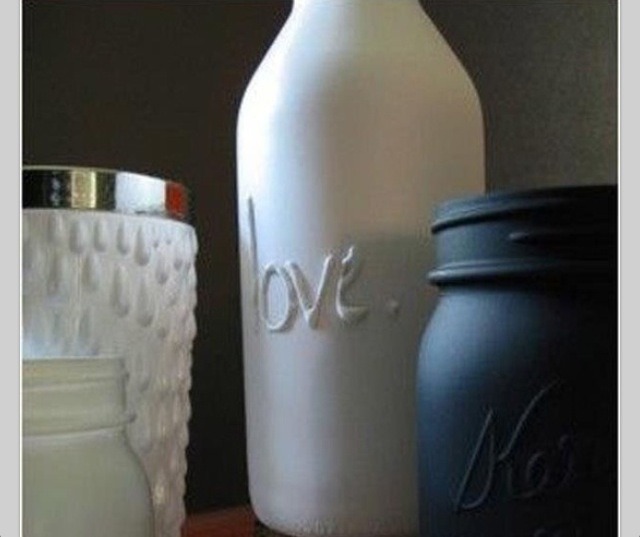 Jar or any glass you'd like to use. Grab your spray paint and spray about two layers but make sure each layer is dry before applying the next layer.